Nile Post has learnt that Ugandan social media entertainer and newsmonger Raymond Soulfa, alias Peng Peng is one of the people police will be investigating regarding the recent murder of Arua Municipality MP, Ibrahim Abiriga. 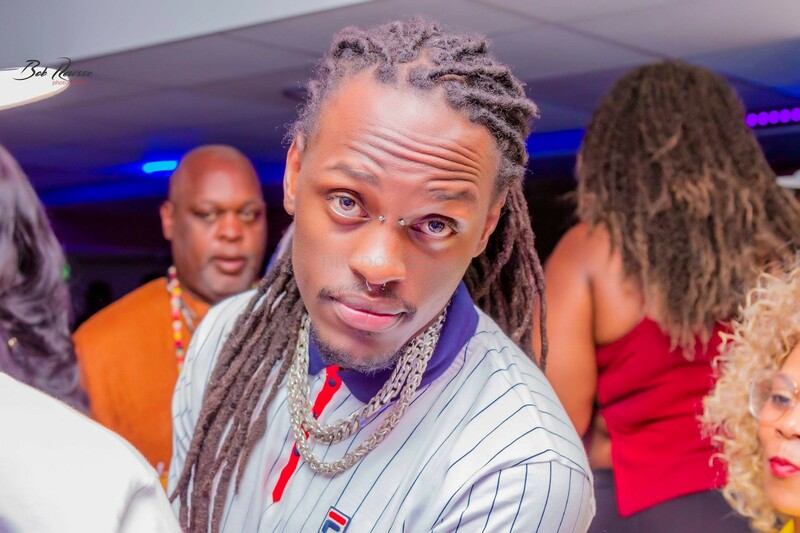 Peng Peng, who is currently based in Stockholm, Sweden is accused by police authorities of circulating a video on his page, citing that NRM killed Abiriga. In the video, Peng Peng claims that Abiriga was killed because he was key witness in the murder of former Police Spokesperson, AIGP Kaweesi. “His masters have killed him, not opposition, it is them that are killing their own people,” Peng Peng. 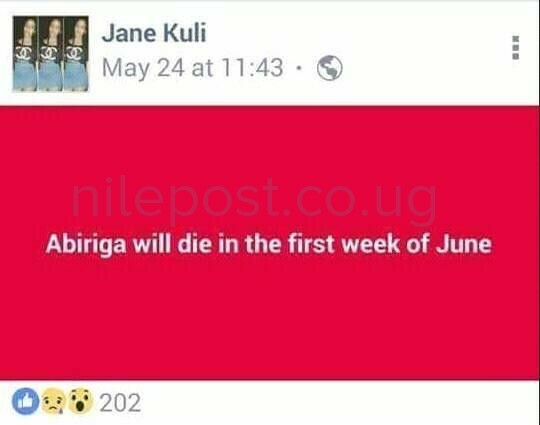 Nile Post has also learnt that one Jane Kuli, whose Facebook post was a prediction of Abiriga’s death date, is also wanted. Members of parliament on Sunday asked the speaker to order for investigations into Ms Kuli for making such reckless predictions. Ms Kuli also came up at Abiriga’s burial when speaker after speaker asked president Museveni to order for an investigation into whoever is behind the post predicting Abiriga’s death. Nile Post however would like to note that the post by Jane Kuli was an edited version from another post made on May 24 at 9:43. Kuli edited the post on June 8, at 10:18pm. Kuli shortly changed her account to Ms prophet Mbonye before deleting it completely on hearing she had become talk of parliament. President Museveni yesterday opened war on social media in wake of Abiriga assassination. Museveni said government will soon start crackdown on a number of people doing what he termed as ‘kelele’(noise) using a number of platform including social media and radios. In the wake of the brutal murder of Arua Municipality MP Ibrahim Abiriga on Friday, a number of people have made insinuations over the circumstances and motive of the murder for the vocal NRM legislator. There have also been a number of pictures including a yellow coffin made in mockery of Abiriga’s love for the ruling NRM party. Speaking during the burial of the deceased legislator, Museveni said he has heard and seen a lot of statements in regards to the murder and a number of other issues in the country but said he could not allow such to continue. 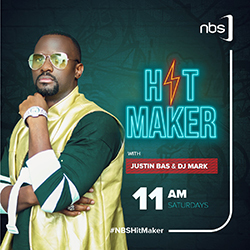 “We need to control this ‘kelele’(noise) of fools on radio and social media. We need strong laws and if it means legislation, we can do it,”Museveni said on Monday afternoon.